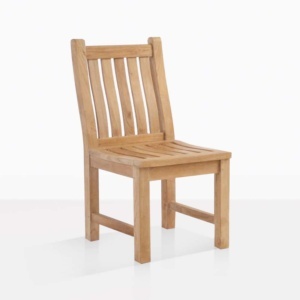 A distinct modern look to this dining chair and an abundance of gorgeous teakwood, makes this something special in any dining space. 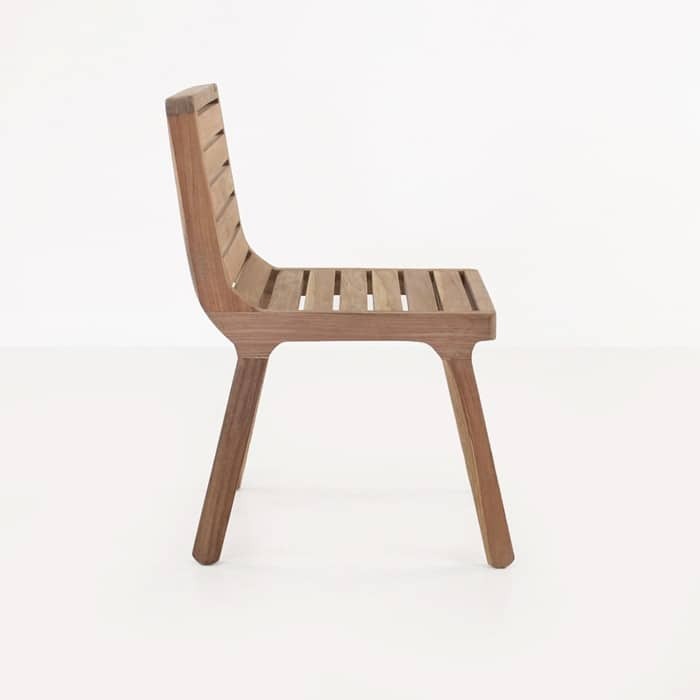 The super clean curves and linear construction is a beautiful modern take on an otherwise contemporary piece. Brilliant dimensions ensure this piece will look good paired with anything, because the stature of the chair is bold enough on its own. 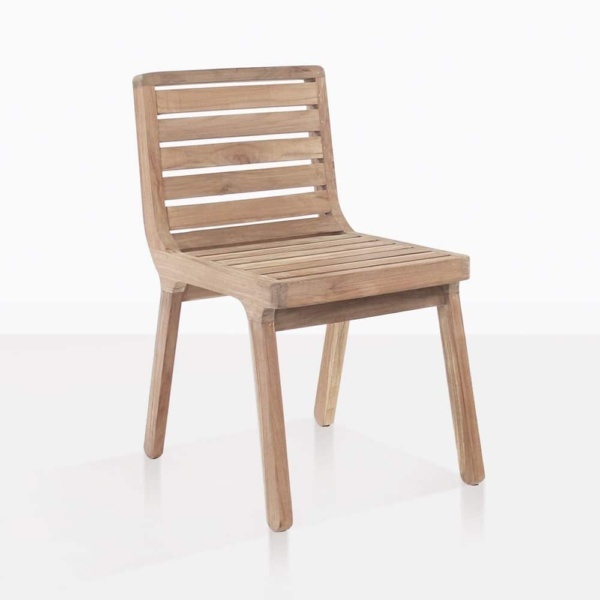 You could easily place this chair around a traditional table like the Joseph outdoor dining table, to give it a contemporary feel, or you could keep it strictly paired with a modern table to ensure the motif stands up to other powerful furniture or surroundings. 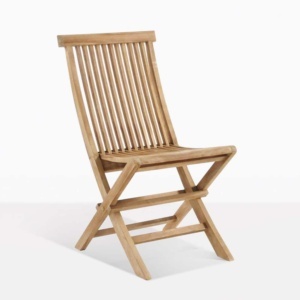 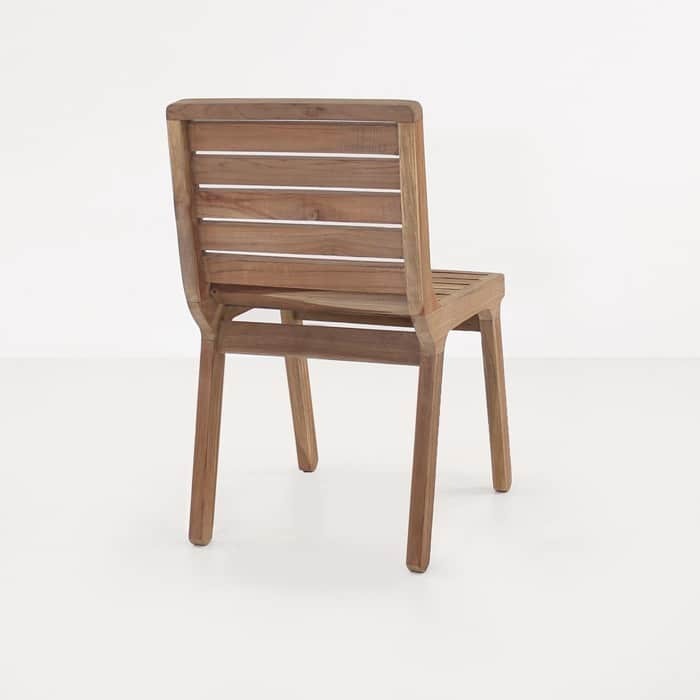 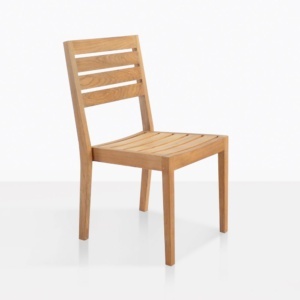 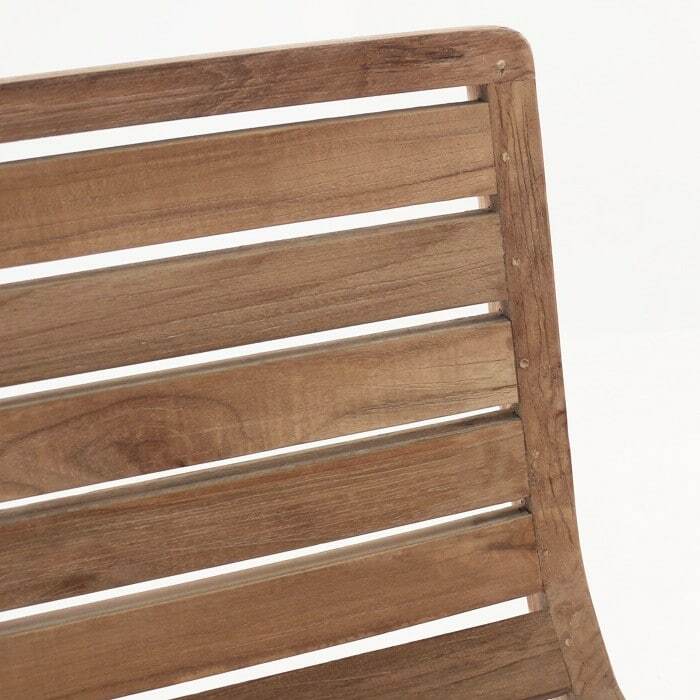 This robust, interesting dining chair is made from 100% reclaimed teak wood.